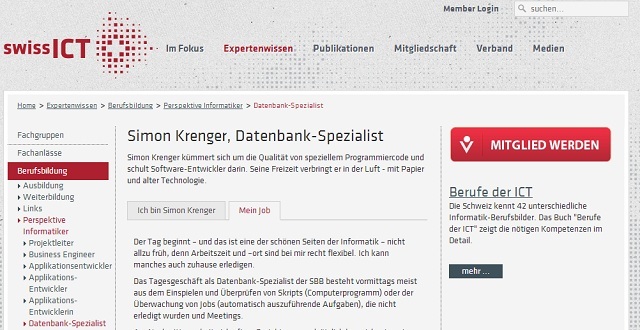 This month I had the honor to be featured on the SwissICT website as a database specialist. SwissICT is Switzerlands largest special interest group for information technology. My portrait serves as an introduction to my job as a database engineer for people interested in Information Technology (IT). Since a database specialist is often a person that operates behind the curtain, I hope this interview can show some of the aspects of our daily jobs.